Cybersex trafficking is a new and devastating form of modern slavery where children are forced to perform live sexual acts for the benefit of paedophiles watching over the internet. To date, IJM have dealt with cases involving customers from the UK, Australia, Canada, Germany and the US. 7-year-old Maarko*, his 2-year old sister and three cousins were being exploited by Maarko’s own mother and his aunt. They were found because a British man was convicted in the UK, and the indecent images on his laptop were traced to Maarko and his family in the Philippines. The man had paid for a webcam to be set up in Maarko’s home so he could direct the abuse. Children who are victims of cybersex trafficking don’t get to say ‘no’. But you do. Choose to say #NotOnMyScreen and bring this hidden crime to light. Lord, we pray for the thousands of children hidden in the darkness of cybersex trafficking. We pray that the work of IJM will thrive so that these children can be found quickly. Lord, we pray for the healing of children rescued, both physically and emotionally, and that homes will be provided to support young children. Help us to be a light in the darkness, and help us to stand up and fight for this injustice to be rectified. Help raise awareness and prayer support by sharing this campaign on your social media feed - use the hashtag #NotonMyScreen. Find out more about this issue on IJM's website. 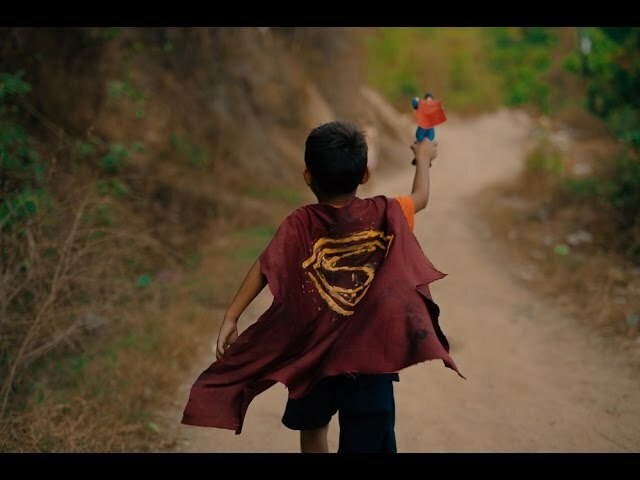 Maarko is an ordinary, young boy in the Philippines who dreams of being a superhero. But those who should protect him, don’t. He cannot escape the evil in his home, unless protection comes. This video is about cybersex trafficking of young children. Viewer discretion advised. International Justice Mission is a global organisation that protects the poor from violence throughout the developing world.